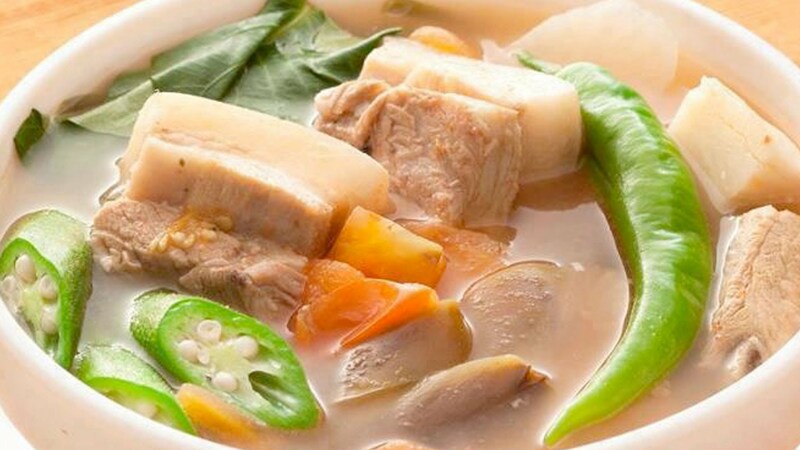 If you don’t like sinigang, you’re probably not a Filipino, at least, if we follow the argument of Liza Soberano, who once expressed her love for the Filipino dish. “I looooove sinigang,” the actress once claimed. Sinigang is a Filipino soup or stew characterized by its sour taste, and its main ingredient could be pork, shrimp, and fish. A Filipino gathering is never complete without lumpiang shanghai. 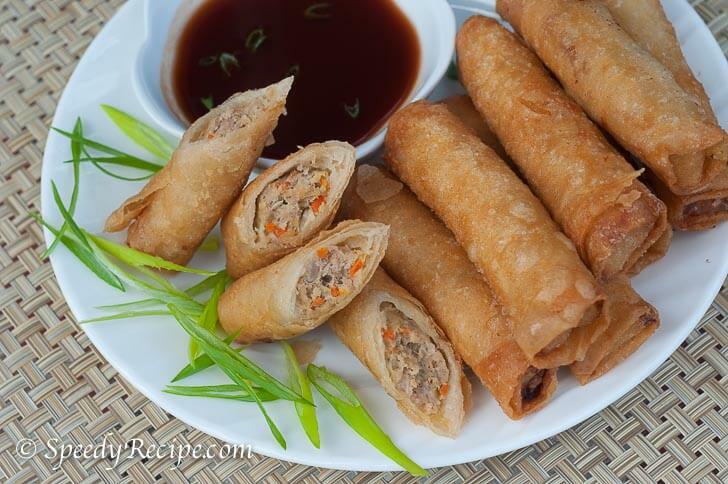 Although the dish traces its origin to Chinese cuisine, lumpiang shanghai is considered the Filipino version of spring rolls. Its ingredients include ground pork or beef, herbs, spices, onions, cilantro, and carrots. The ingredients are wrapped in lumpia wrapper and then deep-fried. Besides the lumpiang shanghai, there are also other kinds of lumpia like lumpiang sariwa and lumpiang ubod. 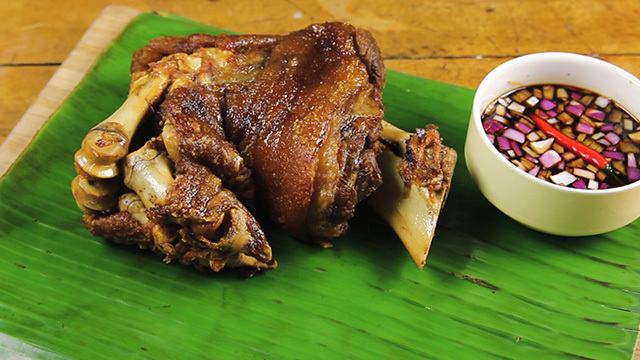 Also a dish that’s always present in major and special occasions in the Philippines, crispy pata is a whole pork leg that’s boiled until tender and then deep-fried. People usually go after the golden and crispy skin, and it’s dipped in a combination of soy sauce and vinegar loaded with different spices. Sinfully delicious. 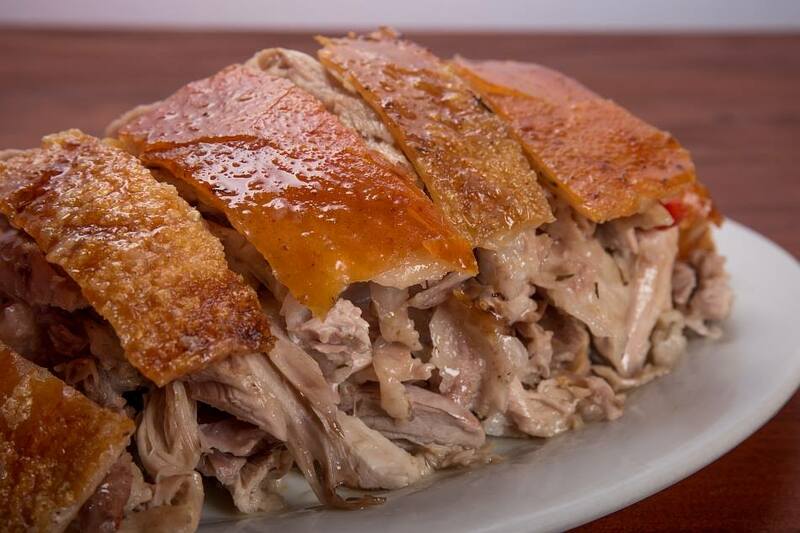 One of the Filipino dishes that Anthony Bourdain tried and loved when he visited the Philippines, lechon is a roasted pig which is similar to crispy pata: crispy on the outside and juicy and flavorful on the inside. This is usually the star in big occasions and gatherings in the Philippines, whether it’s a whole roast pig or just the pig’s head. It is among the local delicacies tourists try in Cebu, which is considered the expert in the Filipino dish. Sisig is a popular Filipino dish best paired with beer. 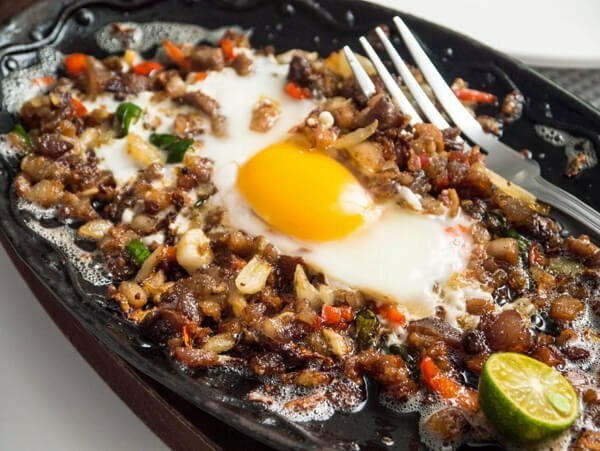 A favorite pulutan (food or snacks provided as an accompaniment to alcoholic drinks), sisig is made from parts of pig head and liver. It’s usually served on a sizzling plate with egg, seasoned with calamansi and chili peppers, and sometimes topped with chicharon bits. Its origin is traced to Pampanga, with influence of Spanish cooking.